Whether you look at the national health reform debate taking place in Washington or the payment reform initiatives by commercial health plans, one common element and call to action is reducing hospital readmissions. Why? Because, as one federal official pointed out, readmissions represent the critical intersection of cost, quality, and patient safety/satisfaction — three very important issues for healthcare providers, government, private payers, and national quality and safety organizations. Recent studies show Medicare is spending an additional $15 billion on readmissions — that’s about $7,200 per readmission. And, readmissions are increasingly being targeted as a marker for poor quality care, wasted revenue, and inefficient use of resources. 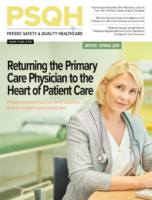 While the primary focus on readmissions has been driven by dollars, there is a significant benefit for patients — improved patient outcomes and better, coordinated care. Thus, reducing readmissions is not only the prudent thing to do, it is the right thing to do. Across the country, there are initiatives underway for improving patient care coordination and reducing unnecessary readmissions. In Florida, the focus on reducing hospital readmissions began with an examination of data and has led to a statewide collaborative effort identifying effective ways to improve patient outcomes, better coordinate care, and save healthcare dollars. Since 2004, with the passage of the Affordable Health Care Act for All Floridians, the State’s Agency for Health Care Administration (AHCA) has been charged with creating web-based information about healthcare services, charges, and quality of care so that consumers have access to meaningful and accurate information. Working with an advisory council of stakeholders with an interest in the publication of consumer information — hospitals, health plans, purchasers, and consumers — AHCA developed floridahealthfindersite.org. This consumer site includes comparative information for more than 150 medical conditions and procedures including data on total hospitalizations, charges, infection rates, mortality rates, and, most recently, potentially preventable readmission rates. For readmissions, the consumer website initially used overall readmission rates for any reason — but all the stakeholders agreed that a better measure was needed. The consensus was that the “right” readmission measure would be condition-specific, reflect the initial admission, and make sense to consumers. With these criteria in mind, AHCA looked closely at potentially preventable readmissions (PPRs) a clinically-based system that was developed by 3M Health Information Systems (HIS). The basic premise of potentially preventable readmissions is that not all readmissions are preventable. This clinically-based classification system identifies acute hospital readmissions that are potentially preventable using administrative data, and incorporates a risk adjustment system — All Patient Refined Diagnosis Related Groups (APR-DRGs) — that takes into account a hospital’s mix of patients and patient severity of illness. A key point about PPRs is that the system excludes patients with major or metastatic malignancies, neonates, multiple trauma, and burns, left against medical advice, transferred to another acute care hospital, OB, as well as other exclusions such as specific eye procedures and infections. Using PPRs, AHCA could compute readmission rates across hospitals and identify higher than expected readmission rates. A higher than expected rate of PPRs means that the readmissions could have been reasonably prevented by better quality care provided in the initial hospitalization, adequate discharge planning and post-discharge follow-up, and better coordination between the inpatient and outpatient healthcare team. Because PPRs met the AHCA criteria for a credible readmission measure, work began to develop this information for publication on floridahealthfinder.gov. Treo Solutions, a national healthcare intelligence firm and a partner with 3M HIS, had been working with AHCA in the development of the data for floridahealthfindersite.org, and was asked to develop PPR information for the site. A number of key decisions needed to be made before PPR information and reports could be generated. For example, what readmission window should be used — 7, 15, or 30 days? Which conditions and procedures should be examined? AHCA decided to use a 15-day window for adults over 18 years old and to focus on conditions and procedures that show high PPR rates. In addition, comparisons to statewide rates, rather than peer groupings, would be used to gauge hospitals’ performance on readmissions. Throughout the decision-making process to use PPRs, AHCA worked closely with the Florida Hospital Association and its member hospitals, and provided the initial data to hospitals for review and comment prior to publication. In June 2008, floridahealthfinder.gov was updated to include PPR rates rather than general readmission rates for any reason. But, beyond useful information for consumers, the data began to stimulate the discussion about how Florida hospitals could work together to reduce readmissions. This was the beginning of the Collaborative on Reducing Readmissions in Florida. Begun in September 2008, the Collaborative on Reducing Readmissions in Florida includes 27 hospitals and health systems, comprising nearly 100 hospitals. This group was formed to explore the causes of and share best practices for reducing readmissions in Florida hospitals. FHA engaged an outside facilitator, Dr. Bruce Spurlock, with Convergence Health Consulting, and partnered with AHCA, FMQAI (Florida Medical Quality Assurance, Inc. — Florida’s Quality Improvement Organization) 3M HIS, and Treo Solutions to conduct this learning Collaborative, which is based on the model developed by the Institute for Healthcare Improvement. Initially, the Collaborative developed recommendations for the consumer website and evaluated the PPR tools. But, the Collaborative’s goals also include: developing a better understanding of the reasons why patients are admitted; identifying initiatives that reduce the likelihood of readmission and sharing best practices for impacting readmissions; and examining policy and payment issues that may impact readmissions. Number of times a patient was readmitted during the period being examined. Medicaid patients had the highest readmission rates. This was just a first look at how the data could help to pinpoint potential problem areas and opportunities for reducing readmissions. Because the Collaborative wanted to focus its efforts on conditions and procedures with the highest readmission rates, they set their aims around five conditions and procedures. For each condition, the group has set a measurable goal to attain by December 31, 2010. The statewide readmission rate was 13.3% with 6,605 patients being readmitted within 15 days — an increase from the previous year’s 12.6% readmission rate. The readmission rate for patients with a mental health issue was 17.4%, compared to 13.1% for those without an issue. One in five of the patients were readmitted to another facility. The Medicare readmission rate was 13.7% and represented 82% of the all readmissions for congestive heart failure. Readmission rates were highest for those patients originally discharged to a skilled nursing facility (17.3%) but the largest number of patients readmitted (4,739 or 72%) were readmitted from home either with or without home care. Heart failure was the primary diagnosis for the readmission (42% of the cases), follow by renal failure, pulmonary edema & respiratory failure, COPD, and septicemia. The same details on conditions and procedures are also provided on a facility-specific level to hospitals in the Collaborative so that they can compare their hospitals’ results with the statewide data, further investigate potential issues and opportunities for improvement, and set measurable targets for reducing readmissions at their facility. Hospitals are encouraged to use this data to help them determine the number of patients that would be affected if readmission rates reached target goals; identify the location in which the patient was originally discharged, determine why they were readmitted, and actions that could have been taken to prevent that readmission; and examine the most common diagnoses for patients who were readmitted. While the data helped to guide the Collaborative to some of the potential issues related to readmissions, it didn’t tell them what to do about them. The hospitals knew they were facing many challenges in patient care that had an impact on readmissions, some of which they had limited control over. Among these challenges are poor coordination between the inpatient and outpatient healthcare team; the patient not being able to get prescription drugs or treatment needed following hospitalization; untreated underlying health conditions; complications or inadequate medical care following discharge; and an inadequate support system or the patient not following the doctor’s instructions after discharge. A number of interventions to reduce readmissions were identified by the Collaborative. These include better quality care during hospitalizations, improved communication among providers and with patients and caregivers, care planning that begins with an assessment at admission, clear discharge instructions with particular attention to medication management, discharge to a proper setting of care, timely physician follow up visits, and appropriate use of palliative care and end-of-life planning. While these can all be categorized as the “right thing to do,” hospitals face many competing priorities for limited resources. Recently, the Collaborative conducted a progress survey to identify the most common initiatives underway to reduce readmissions in Florida hospitals. These include reconciling medications at both the time of admission and discharge; determining the primary caregiver and discharge needs; providing emergency contact information to call with questions; and evaluating end of life issues for discharge planning. There are a number of initiatives also either underway or being considered by Collaborative members, but many of these may require intensive or new resources. These initiatives include arranging for timely follow up with a physician or a nurse based on readmission risk, assessing risk at admission, determining patient follow-up rates with PCP, and monitoring patients remotely through telemedicine, monitors, or other means. Simultaneously, a number of the Florida hospitals are engaged in national initiatives designed to reduce readmissions — and they are sharing lessons learned and best practices with their colleagues through Collaborative learning sessions and the Collaborative website (http://collab.fha.org/). For example, BayCare Health System, which includes four acute care hospitals, is involved in a transitions-of-care project called “Project BOOST” (Better Outcomes for Older Adults through Safe Transitions). According to the Society of Hospital Medicine, one of the sponsors of the project, this comprehensive program aims to significantly reduce hospital readmissions by optimizing care transitions from the hospital to home, while improving communication among healthcare providers. Project BOOST offers tools for identifying patients at high risk of readmission as well as discharge tools, such as a universal patient-discharge checklist. Baptist Health, a five-hospital system in Florida, has built a structure for quality that is being deployed for reducing readmissions. It includes educators at the bedside, a thorough admission history and assessment, medication reconciliation, more detailed discharge instructions, and working closely with other providers to offer a comprehensive continuum of care. One initiative underway is the movement from paper to electronic forms for admission and discharge processes. Remarkable progress is already being made, hospital by hospital, throughout the State of Florida. And, it all began with a close look at the data, a determination to make care better for patients, and a desire to more effectively use scarce healthcare resources and funds. Kim Streit is the vice president of Health Care Research and Information of the Florida Hospital Association and is the lead staff person for the Collaborative on Reducing Readmissions in Florida. She has authored numerous reports on healthcare trends in Florida, the nursing and allied health professional shortage, the uninsured, and financial issues impacting hospitals. She serves as chair of three groups: the Comprehensive Health Information Systems Council of the Agency for Health Care Administration, the Hospital-Acquired Infections Technical Workgroup, and the Health Care Facilities Consumer Website Workgroup. Ms. Streit received her MBA and MHS from the University of Florida, and is a Fellow of the American College of Healthcare Executives. William Kelly is president of Treo Solutions, a national healthcare business intelligence firm. He has been at the forefront of healthcare payment innovation for 25 years, focusing on enhancing value by integrating payment, cost, and quality metrics into more refined payment systems. He has extensive executive level experience in healthcare leadership, policy, and strategy. Mr. Kelly has published numerous articles on topics such as payment transformation, pay for performance, medical homes, and potentially preventable readmissions, among others. He received his MBA, with a concentration in health services, from Rensselaer Polytechnic Institute and his MPH, with a concentration in epidemiology, from the State University of New York at Albany. Kelly may be contacted at wkelly@treosolutions.com.